SUNNY & SPACIOUS ALCOVE STUDIO! 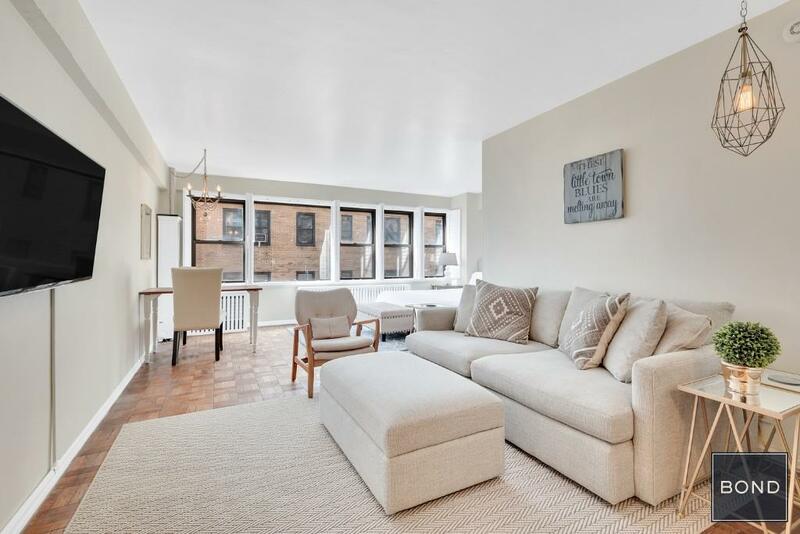 A super-sized, light-filled home with loft-like ambience, this south-facing king size alcove studio features an array of smartly designed custom extras. Noise-dampening shutters adorn the wall of windows and both the radiator and air conditioner are tastefully concealed in custom covers. The entry is large and welcoming, and features a ceiling fan and two closets, one of which is a double with a custom organizer system. A rarity, the sleeping alcove easily accommodates a king size bed plus nightstands, while the adjacent dressing area is outfitted with both a custom shelving system and an additional closet. The kitchen features stainless steel appliances including a new refrigerator and is accented by a subway tile backsplash and under-cabinet lighting; the sleek pale grey and white bath has a vanity sink. This tranquil renovated gem features dark wood parquet floors and enjoys delightful light and city views overlooking gardens to the south and east. 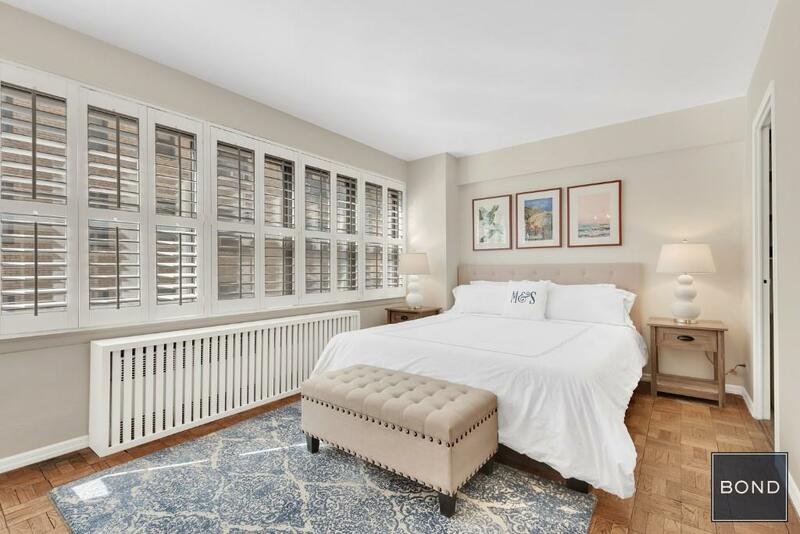 Conveniently located in the heart of Murray Hill near a wealth of shopping, dining and transportation options, 210 East 36th Street has a live-in superintendent, doorman service from 4pm-12am daily, and video security. The lobby and hallways have been renovated, with no assessments to shareholders. 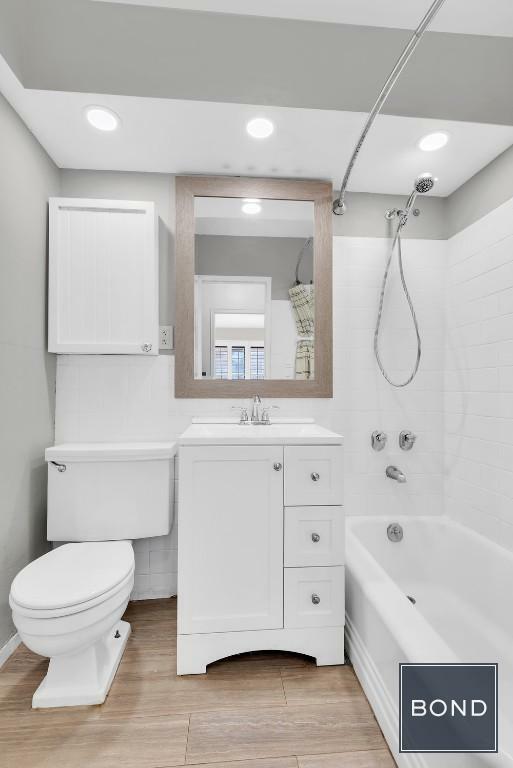 Amenities include a laundry, private storage and bike storage for rent, and a garden. Pets are welcome; sublets, pied a terres and parents buying with are permitted. No W/D or D/W. 80% financing.